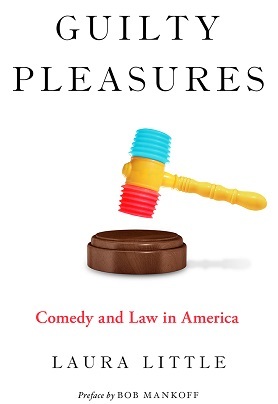 Laura Little - Author of "Guilty Pleasures: Comedy and Law in America"
In this amusing talk, Laura Little introduces her book, Guilty Pleasures: Comedy and Law in America, published this year by Oxford University Press. The book contains 75 New Yorker cartoons and explains the ways in which law and humor cross paths. Professor Little will give us a dose of humor about the law (lawyer jokes, judge jokes…) as well as humor in the law (funny lawyers, funny cases…). She will also describe the ways that law imposes itself on humor, showing how the law muzzles some types of comedy while protecting and encouraging other types. Who would be the audience for such a book? Answer: Those who love lawyers, those who hate lawyers, those who are lawyers, and those who would never want to be a lawyer! Free to attend - registration recommended. Copies of the book can be purchased from the author at the event.